As the nights draw in and Halloween approaches, it seems the perfect opportunity for a few spooky stories and terrifying tales about the ghosts we are said to roam amongst us in West Malling. 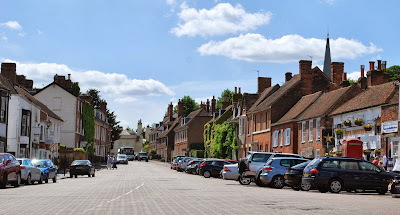 In a town as ancient as West Malling, with its rich history and medieval buildings, it’s no surprise to find reports of ghostly sightings and frightening phenomena. Whether you take them seriously or simply see them as a bit of fun in the lead up to Halloween is entirely up to you. 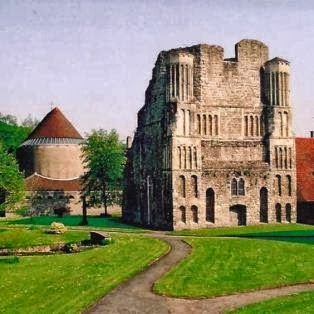 The town of West Malling grew around Malling Abbey, now St.Mary’s Abbey, which was established by Gundulf, Bishop of Rochester around 1090. Despite the fact that the abbey has largely been occupied by Benedictine nuns, a surprisingly large number of West Malling ghosts appear to be monks. In the abbey itself the ghost of a monk was seen by a cleaner, walking towards her on a different level from the floor she was cleaning. He actually knocked over her bucket of water as he reached her and she ran away in terror. In a sixteenth-century hall that was built on the site of ancient Abbey buildings, and is now Frank’s Mussel Bar, a ghostly monk has been seen sitting upstairs at a writing desk. The same ghost has been seen on several occasions walking across the bedroom of the building next door. Another ghostly monk has been seen further along the High Street, in the upstairs wine bar of the building that was Mackenzines and we believe is soon to be The Hungry Guest. The owner was just closing the bar at night when the apparition materialised and walked across the room. It was later discovered that the fireplace in the wine bar was once part of the Abbey buildings. As well as monks there are also a couple of nuns reported to be haunting West Malling. A cleaner at the library was frightened off when she saw the ghost of a nun in the back room, who was thought to be linked to the former leper hospital in King Street. At the former Brewery Tap on Swan Street many of the staff reported seeing a beautiful nun who would appear in the rooms that needed to be cleaned and then disappear through the wall. An oppressive presence was also often felt next door in Abbey Brewery Cottage, in the room which shared a wall with the Brewery Tap. Some buildings in West Malling are thought to be haunted by multiple ghosts and Douces Manor is one such example. The ghost of Miss Savage, whose family used to live at the Manor, is often reported to be seen looking out of a bay window at the garden. She turns to look at anyone who enters the room. Another fair-haired apparition, who describes herself as the Merry Widow of Mereworth has been known to wake up and even speak to visitors to the Manor. Finally the ghost of a World War Two pilot is thought to haunt the cellar, known during the war as The Twitch Inn. Douces Manor isn’t the only place where sightings of ghostly World War Two airmen have been reported. During the Great Warbirds Airshow that took place in 1982 on the former RAF West Malling Airfield (now Kings Hill) many visitors reported seeing apparitions of wartime planes and their crews around the runway and hangars, almost as if the show had stimulated their appearance. During the filming of the television series ‘We’ll Meet Again’ in the same location, the director asked for two airmen and a WAAF who were looking into the engine compartment of a jeep to be moved out of shot, but as they were approached they vanished. 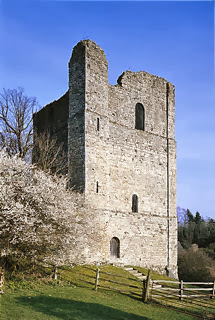 We tend to think of ghostly apparitions as frightening and malevolent, and there is a very old tale of a beckoning figure leaning out of the window of St. Leonard’s Tower, who is thought to bring disaster to those who see him, but there are also some very friendly and helpful ghosts around the town. In Lucknow, a listed building on the High Street, the ghost of a former housemaid is said to haunt the bedrooms, and to turn down the beds on a regular basis. Similarly, the Farmhouse Pub, formerly The Bear Inn, is thought to be haunted by a former potman who still moves ghostly barrels around the cellar. 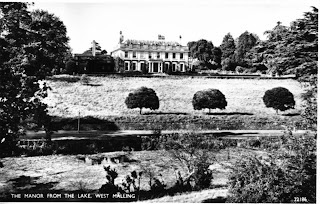 There are so many other ghost stories connected to West Malling, it’s impossible to relate them all here, but hopefully this spooky selection has got you in the mood for Halloween. Whether it’s ghostly knights riding down the Offham Road, spooky revellers dancing at the former Assembly Rooms on the High Street, or the ghost of the original Mr Baldock appearing at the shop counter, the many ghostly tales and legends of this town are just another part of its charm and heritage. 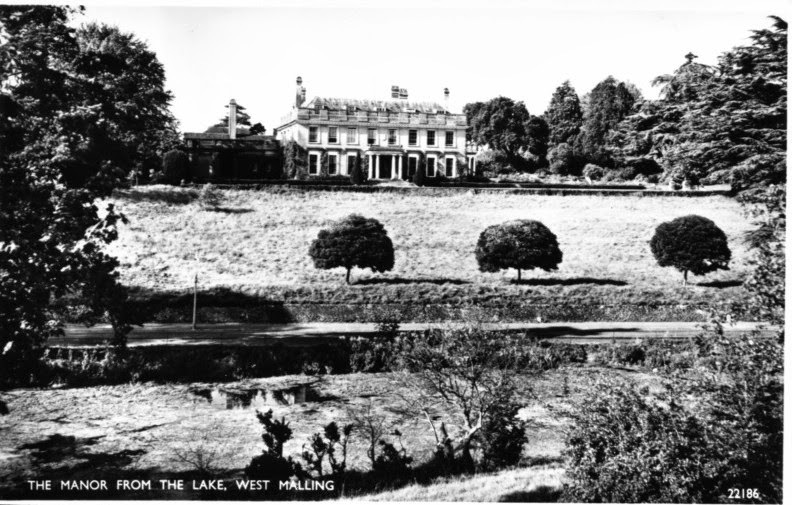 The accounts in this post are taken from Ghosts of West Malling by Margaret Gadd which is available from West Malling Library.